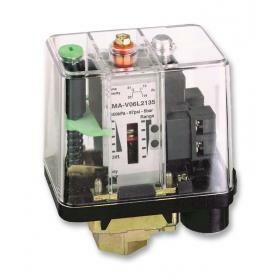 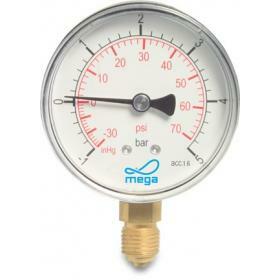 Dry dial bottom mount 63mm pressure gauge with clear polycarbonate window. 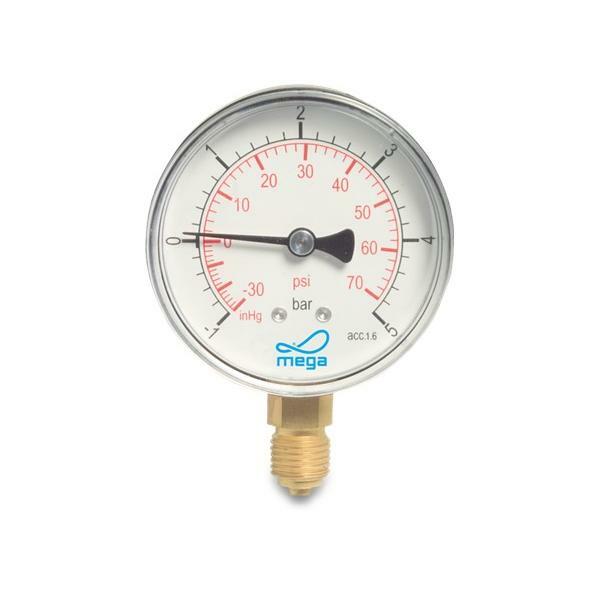 Dry dial bottom mount 63mm pressure gauge with clear polycarbonate window. 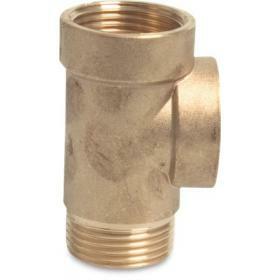 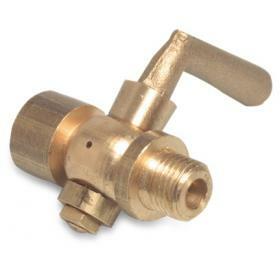 Brass 1/4" BSP male rear connection. 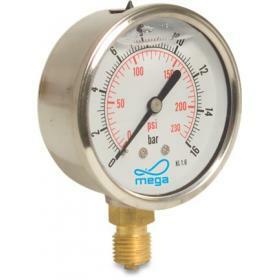 Wet dial bottom mount 63mm pressure gauge with stainless steel case and clear polycarbonate window.